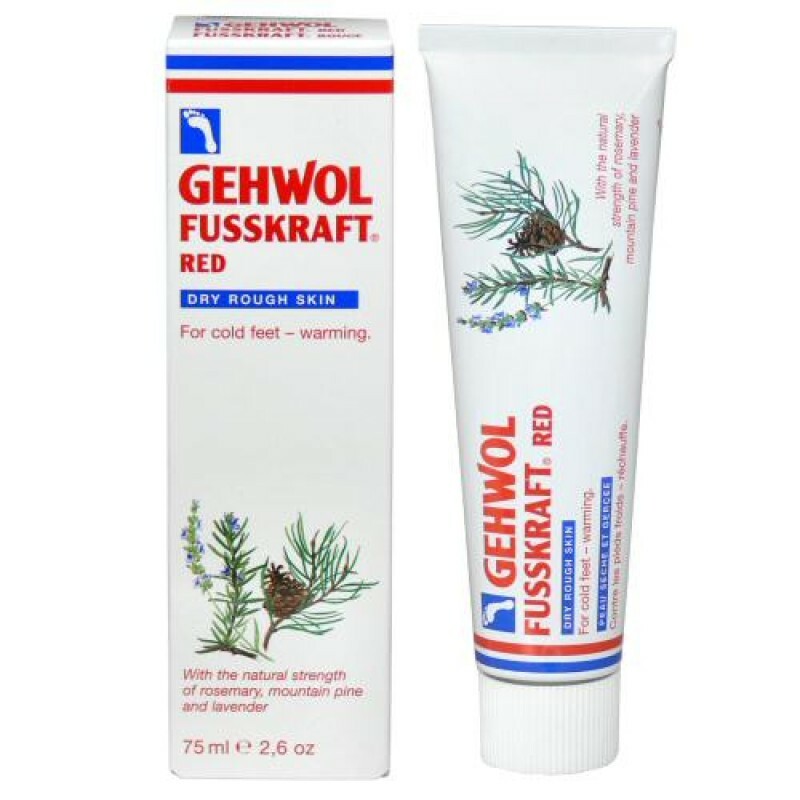 GEHWOL FUSSKRAFT Red is a warming balm for dry, rough skin providing relief for tired, sore and cold feet. Revitalizing camphor, extracts from paprika and ginger as well as essential oils from rosemary and mountain pine, benefit circulation and create a pleasant warming sensation. Concentrated emollients and other herbal actives revitalize dry, rough skin while minimizing foot odours. With continued daily use, feet remain warmed and skin appears smooth and healthy. 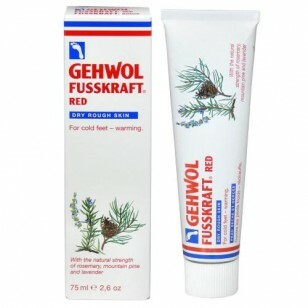 Tip: To increase the warming effect, use the GEHWOL FUSSKRAFT Warming Bath Concentrate before applying the balm.